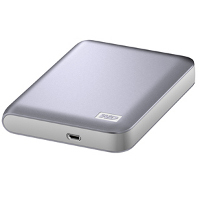 Western Digital is extremely well known for its line of storage devices where backup is concerned, and this time round they have come up with something that targets folks who are running on the Mac platform – we’re talking about the Western Digital My Passport SE for Mac. Available in two capacities of 750GB and 1TB, the My Passport SE for Mac is a portable USB drive which has been specially formatted before leaving the factory to work in a Mac environment right out of the box, complete with Apple Time Machine software compatibility. These ultra portable USB drives are a snap to tote around, and since they do not require any external power adapter as they derive juice by virtue of being plugged into your computer, it will certainly go a long way in reducing the amount of weight that you would have needed to carry on your travels. For those who are a bit concerned about security, fret not – these puppies are equipped with 256-bit hardware encryption with password protection for that added level of security, where a relatively small drive with such huge capacity should still let you sleep peacefully at night since you know that your data will protected from unauthorized access or theft. Too bad this is still stuck in the USB 2.0 era, as we would have pretty much preferred to see something much faster along the lines of FireWire 800 or USB 3.0. Well, at least the Western Digital SmartWare software ought to deliver much needed calm whenever you make a backup since you can see it as it happens, making sure that no stone is left unturned. Apart from that, continuous backup ensures you will always have a second copy of whatever was just added or changed. Should the unthinkable happen, you can always retrieve valuable data to its original location, regardless of whether you have just lost the entire gamut of data or overwritten an important file. The 1TB model is going for $199.99 a pop, while those who opt for the slightly smaller 750GB model will have to fork out $179.99 for it.